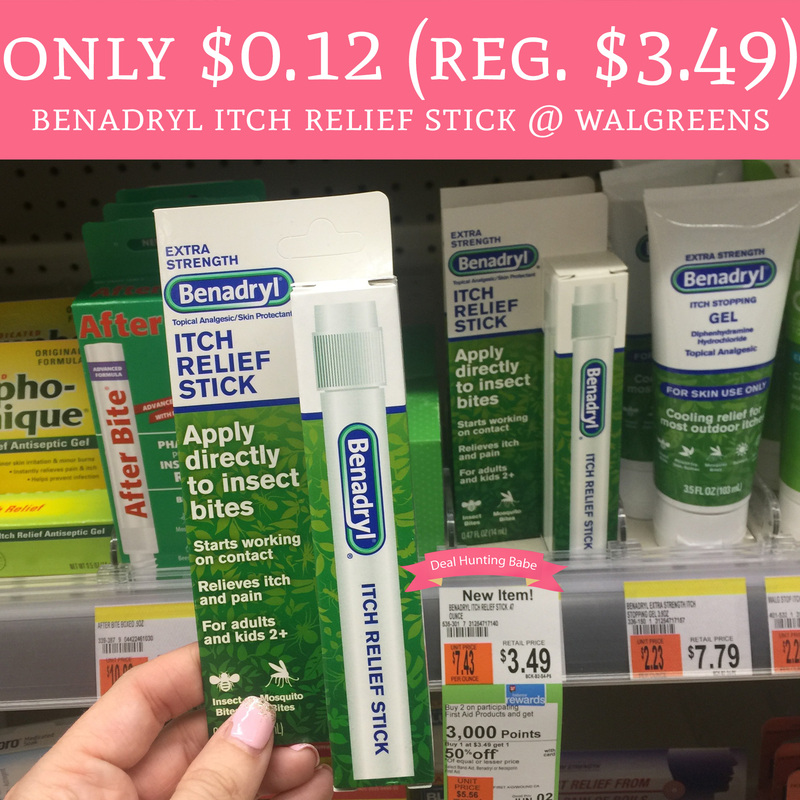 Through 6/2, head to Walgreens to score Benadryl Itch Relief Sticks for just $0.12 each (regular $3.49). They are currently regular price at $3.49 each and Buy One Get One 50% off. Plus, when you buy 2 you will receive 3,000 Balance Rewards Points and we have a $1/1 Benadry Product coupon founding the 5/6 Smart Source insert to make each pack just $0.12 each!! Final price $0.23 or $0.12 each! !